This continues to be a great series and one that is entertaining and enjoyable to read/listen to. While I liked it when authors write their series to be read as standalone, this one has become one where the character are too intricately woven together that picking it up in book #4 can be confusing. 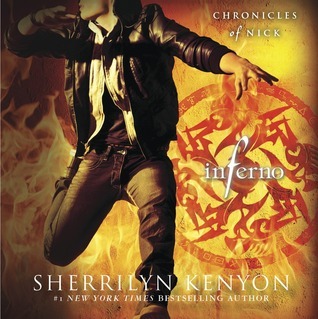 If you're interested in reading Inferno, start with book #1, "Infinity (Chronicles of Nick, #1)". It's so worth it as this series rocks. "Inferno" move the plot/arc of the series forward with a few twists and turns. This was also the first book in which I had that "Oh, gods, this is a YA" due to the angst of teenage relationship. Thankfully, while the 'relationship' issue is part of the storyline, I am eternally grateful Sherrilyn didn't go down that YA rabbit hole. It doesn't become an issue. This installment was a bit slow in the action department in the beginning and middle, it does pick up later. However, the stuff that occurs are all part of the story. I really enjoy this series due to the characters and story line. Nick continues to struggle to gain control of his powers and the knowledge that his destiny is to be this big bad evil demon. His friends continue to believe in him and help in any and all ways they can. Narrator's Review: Holter Graham continues to be phenomenal. He brings the characters to life! I'm extremely happy that the continues to be the narrator!